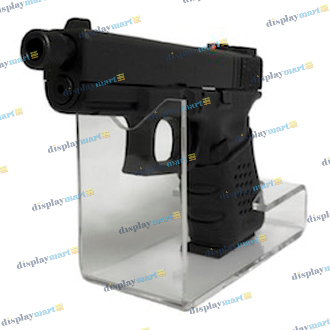 The DisplayMart.com acrylic tabletop pistol display provides the ideal way to show handheld guns on display shelves. Perfect for any gun store! Each of these gun displays measures 6" wide by 4" high, and includes a 4.5mm pad to prevent movement.